Looking to win more deals and increase revenue in 2018? Simplus works with the top players in the Salesforce.com market, SpringCM and Conga, for providing Contract Lifecycle Management (CLM) solutions that help you standardize, automate and track contracts (and other documents) from generation through execution. This allows you to reduce human error associated with manually generating contracts, increase the average time taken from contract generation through execution, and gain visibility into the status of your contracts. Are you currently using a CLM tool and linking it to your CPQ tool? Are you experiencing challenges when generating quotes or other documents? Do you need to automate the process of generating documents? Do you need to automatically send the documents for eSignature (via DocuSign or EchoSign)? Do these documents need to go through internal approvals prior to being sent out for signature? Do you need to be able to easily track the status of a document as it moves through the execution process? Do you generate quotes, NDAs, SOWs or MSAs? Would you like to be able to manage, modify, update, and apply terms, conditions and other verbiage within your contracts without having to update each contract manually? Are you lacking a central repository where contracts can be easily searched and audited? Are your documents lacking standardization across multiple users? 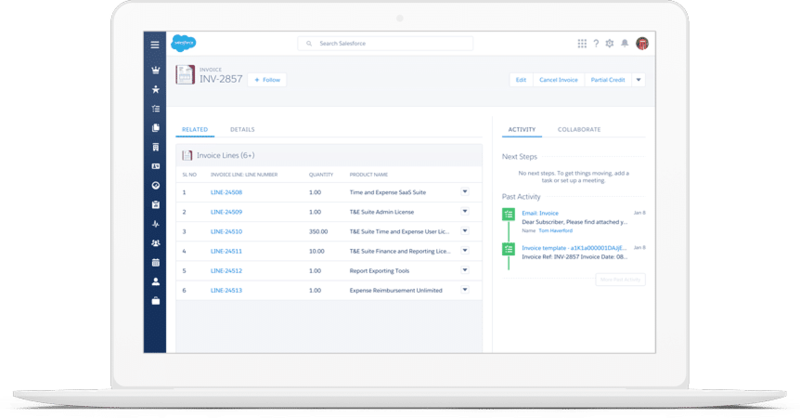 We are Salesforce’s #1 quote-to-cash consulting partner, and we serve companies like Intel, Nvidia, Jive, Nike, NRG, Franklin Covey, Fidelity, Allianz, Transamerica and over 2,000 others to successfully deploy thousands of projects.